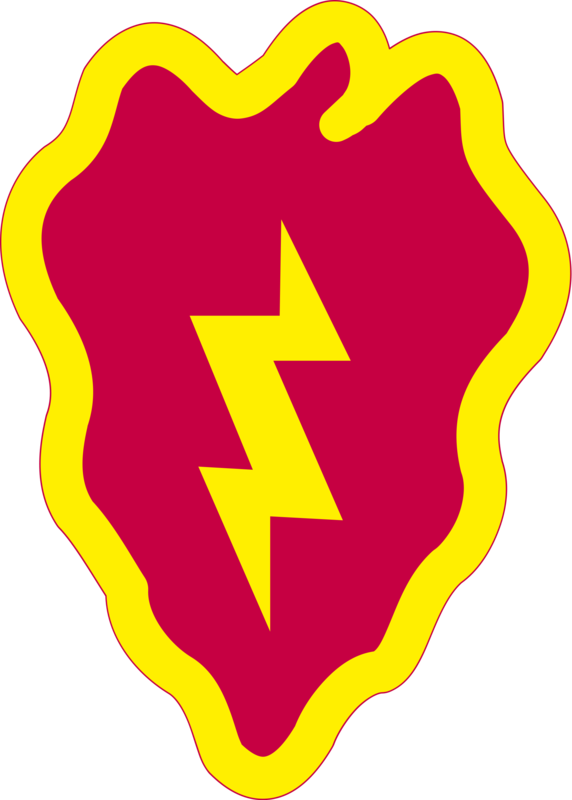 The 25th Infantry Division's first fighting of World War II was on Guadalcanal. Sent to relieve the Marines defending Henderson Field, the 25th Infantry Division began fighting Japanese forces in some of the most ferocious fighting in the Pacific Theater. After finally taking Mount Austen and breaking the back of the Japanese defenders, the division was able to finish off the last pockets of Japanese resistance and secure Guadalcanal. The division was then sent to capture New Georgia, which it did in a matter of weeks. The division was then sent to the Philippines, where it destroyed a large portion of the Japanese tanks and was nicknamed the "Lightning Division" because of how quickly it advanced. The division was able to keep advancing through the Philippines despite numerous Japanese counterattacks, and was eventually able to mop up enemy resistance and secure its area. During the Korean War, the division was renowned for its effectiveness. It broke out of the Pusan Perimeter and quickly advanced up through North Korea, eventually reaching the Yalu River. However, it, like many other units, was surprised by the sudden Chinese counterattack, and was pushed back past multiple defensive lines. It then reorganized and launched offensives that drove communist forces back across the Han River. For the rest of the war, the division defended its line, and managed to repel a massive Chinese attack in 1952. It was one of the most decorated divisions of the Korean War. During the Vietnam War, the division fought from 1966-72 and was called to fight in some of the toughest fights of the war including Operation Junction City and the incursion operations into Cambodia that wreaked havoc on communist logistics. The division also defended Saigon during the Tet Offensive. The division has also deployed to Iraq and Afghanistan as part of the War on Terror. In Iraq, the division helped provide security for elections and defend Baghdad, and in Afghanistan it helped hunt down terrorists hiding in the mountains. It also provided military assistance to local forces in both countries.